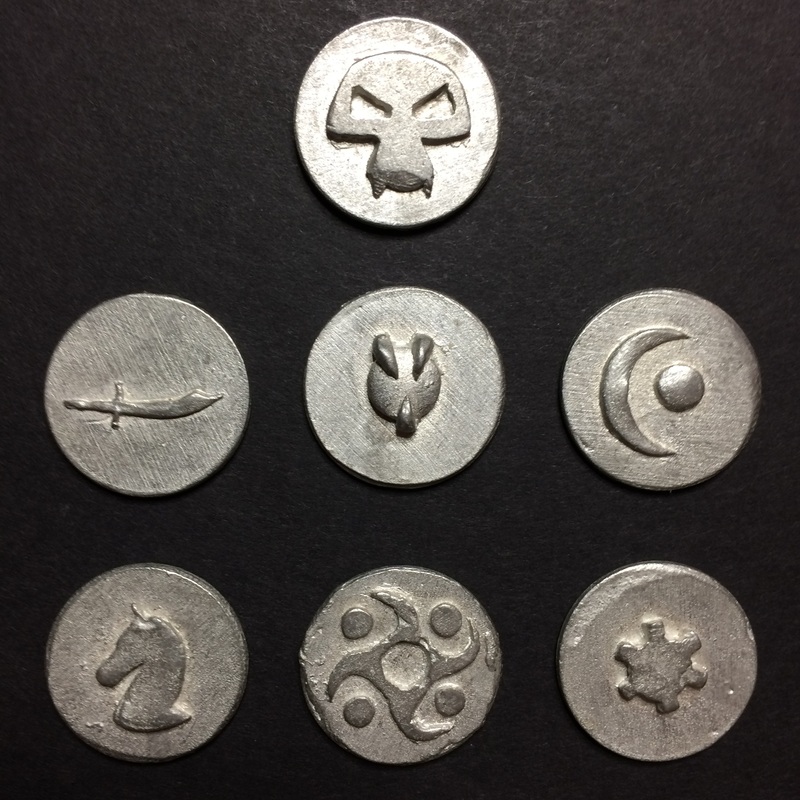 These prototype pewter tokens were created during the development of the metal Mage Knight tokens. 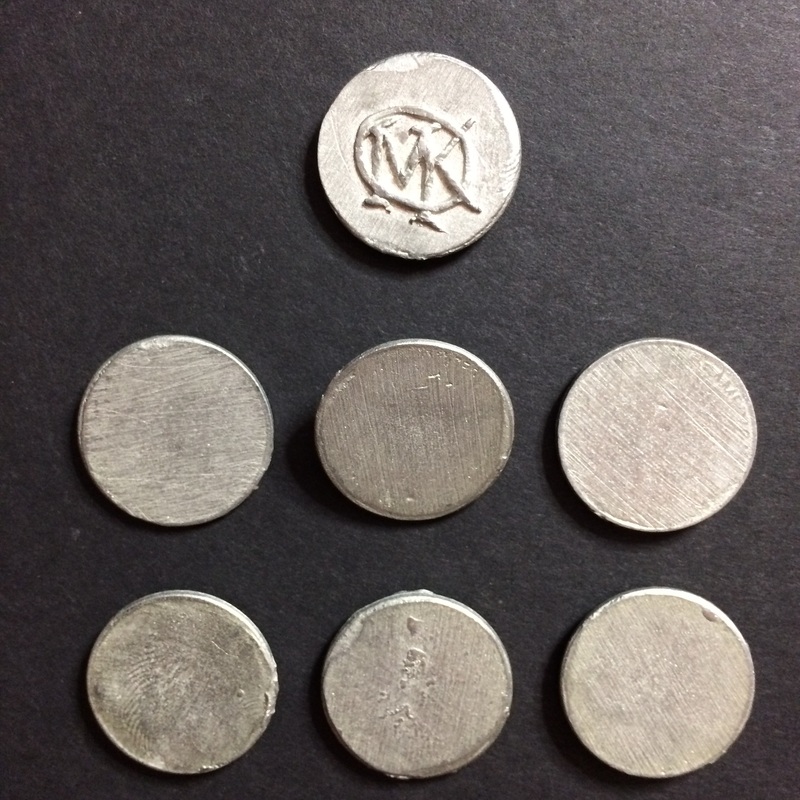 There was only one set of these faction symbols created. These never went into production. 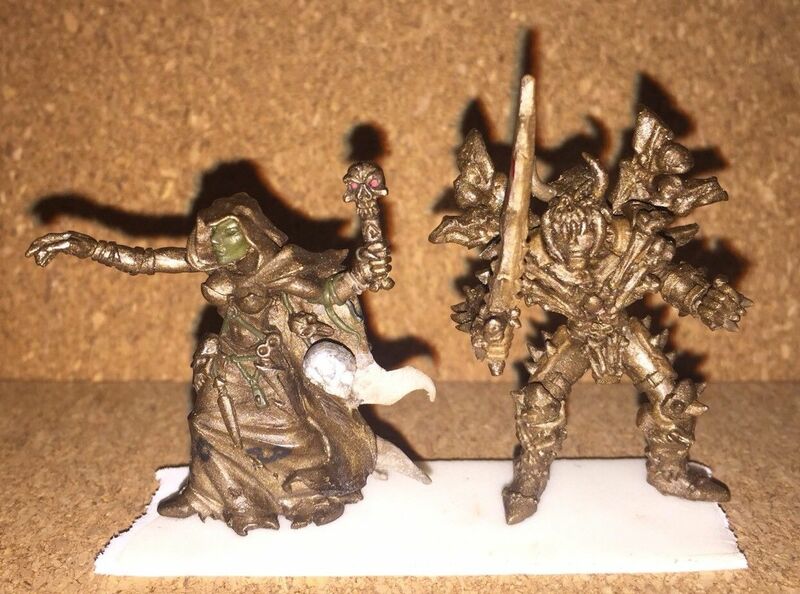 Original sculpted miniatures originally created for the Mage Knight game. 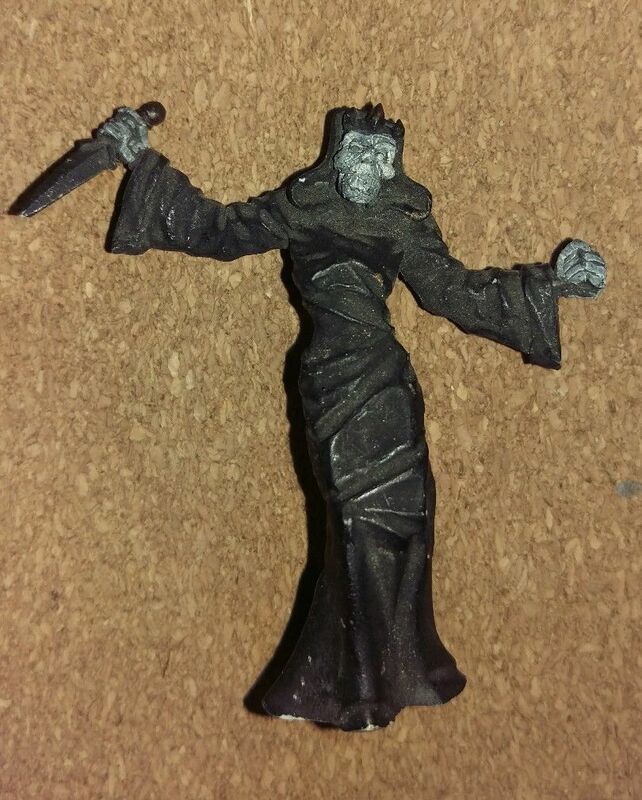 These particular models are the Death Merchant from Sinister and Night Witch from Whirlwind expansion sets. 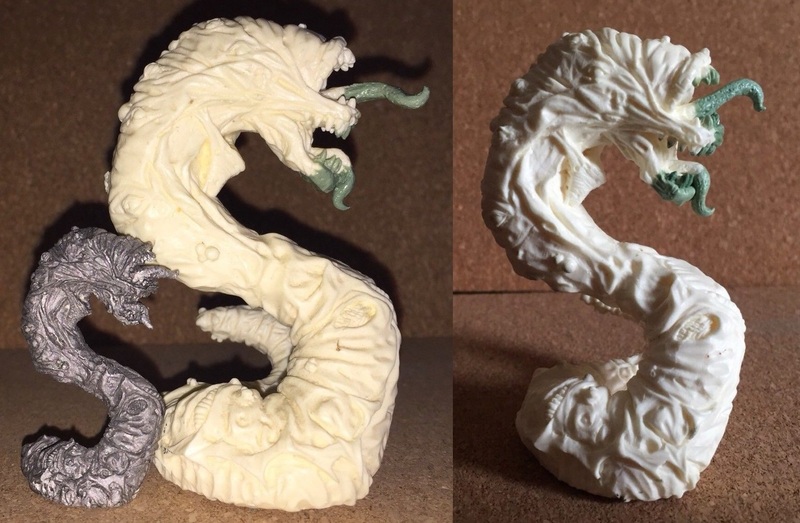 These are the actual sculptures that were molded and then cast in resin for approvals before the mold making stage for plastic injection molds.These pieces were sculpted by Steve Saunders out of epoxy putty and restored after being pulled back out of the mold. 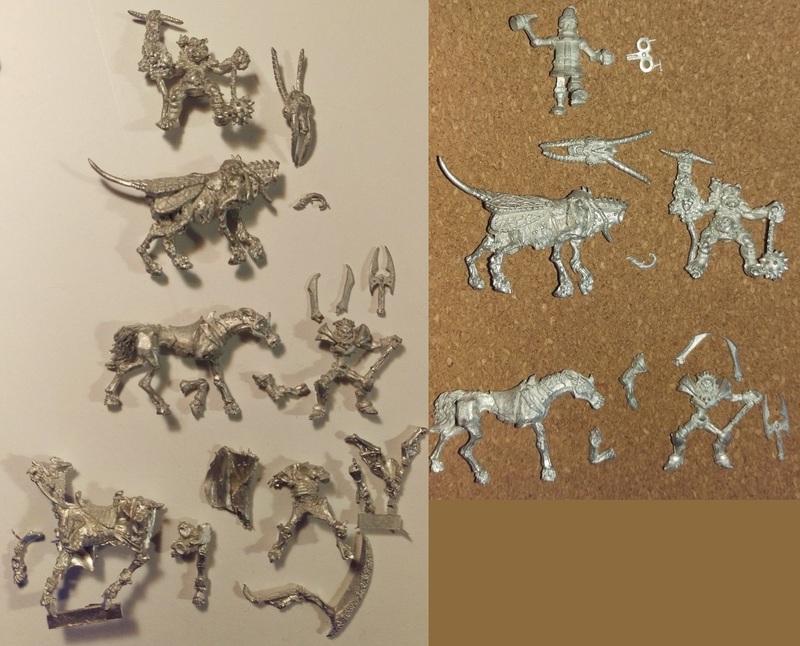 Roughly 35mm tall. 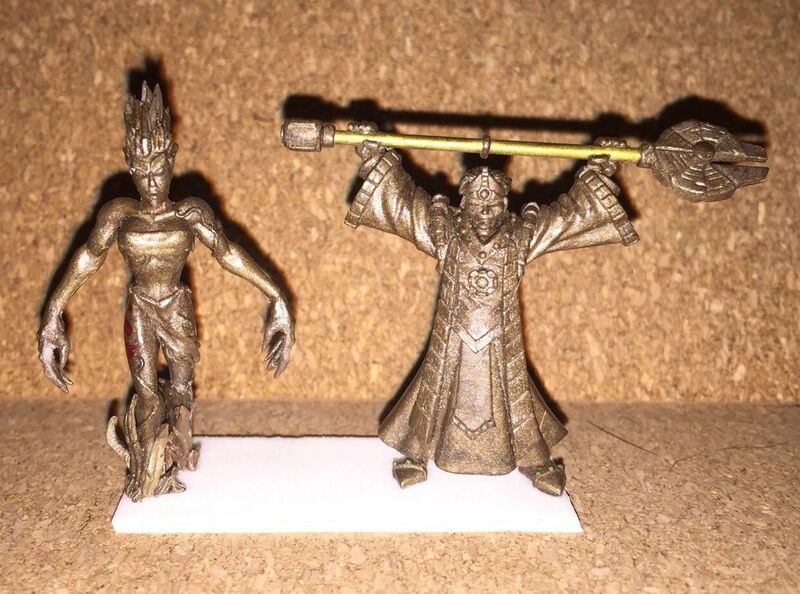 These are pewter prototype miniatures originally created for the Mage Knight game. These castings were made from the original sculptures for personal use by the sculpting team. They never went into production in this medium and only a handful were made. Here are three of the Horsemen of the Apocalypse: Death, Famine, and Pestilence. They differ from the resin casting in that a couple of extra cuts were made on them to make separate pieces so that we could cast enough for the team without problems. 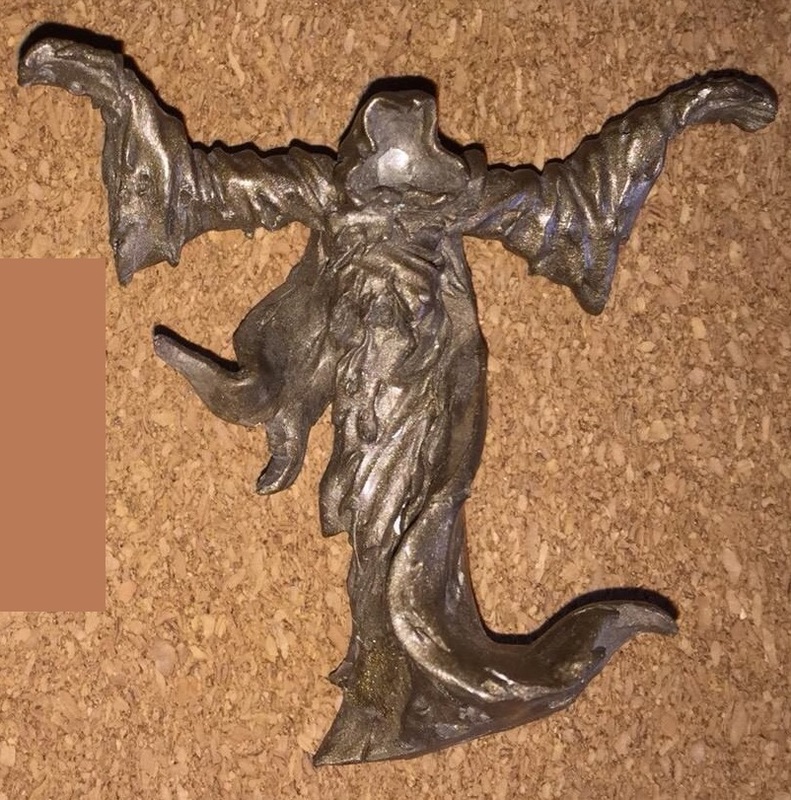 As you can see, there is also a copy of death, but the connection point on the left leg is miscast on the body, leaving a rounded area instead of a clean join. Filling in for the missing Horsemen is Steam Santa. This was originally sculpted as a gift from the WizKids sculptor (Steve Saunders) to be given to his coworkers during a holiday party. The following year, it was lent for use as a plastic production limited edition model. The pewter version shown here was never available at retail. 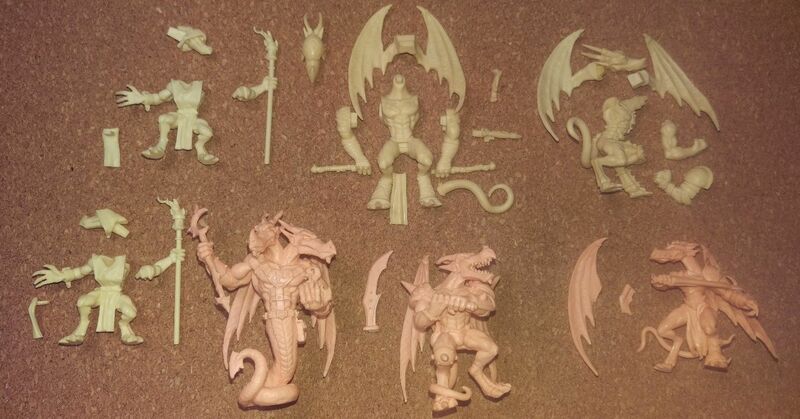 These prototype miniature castings were originally created for Mage Knight. They were made from the original sculptures and were used as approvals before the mold making stage for plastic injection molds. 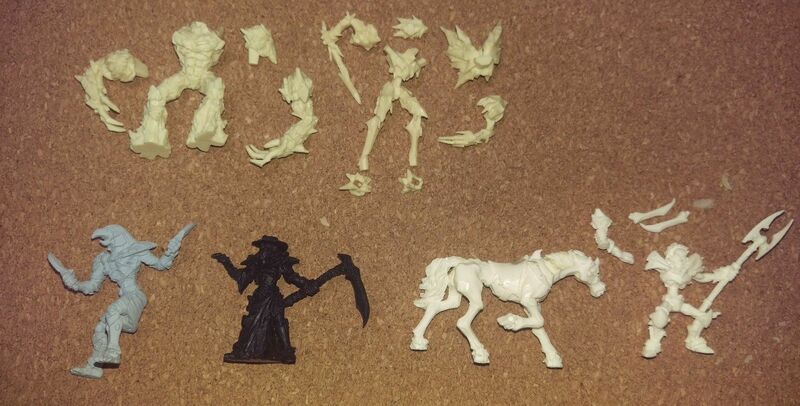 These prototype miniature castings were originally created for Mage Knight. They were made from the original sculptures and were used as approvals before the mold making stage for plastic injection molds. The sculptures in this set were sculpted as 2-up (double scale) models before being pantographed down to the scale used in production. This particular model was used as a paint master which is the example that the factory would use to copy the production paint pattern. Being only used as a paint master, the model itself wasn’t necessary to be perfect, so air bubbles and mold lines are present. 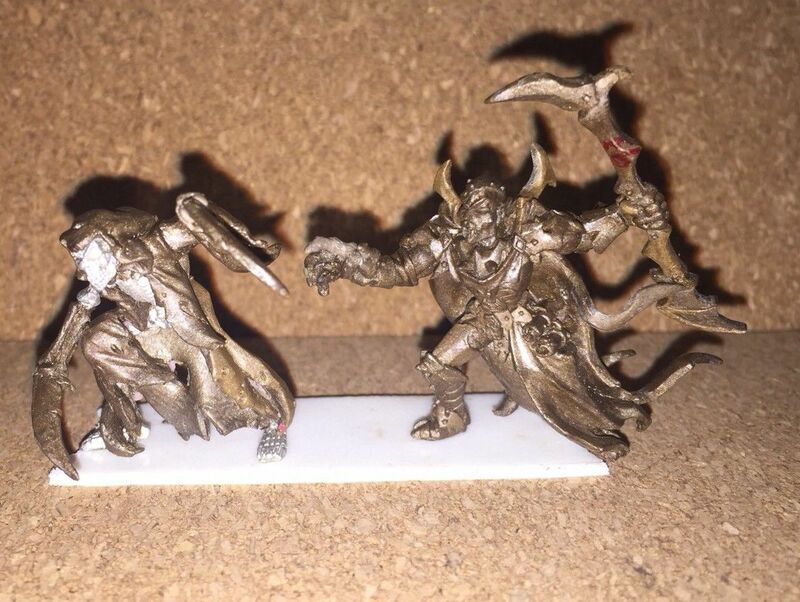 These pro-painted miniatures are from the Mage Knight Metals product line. 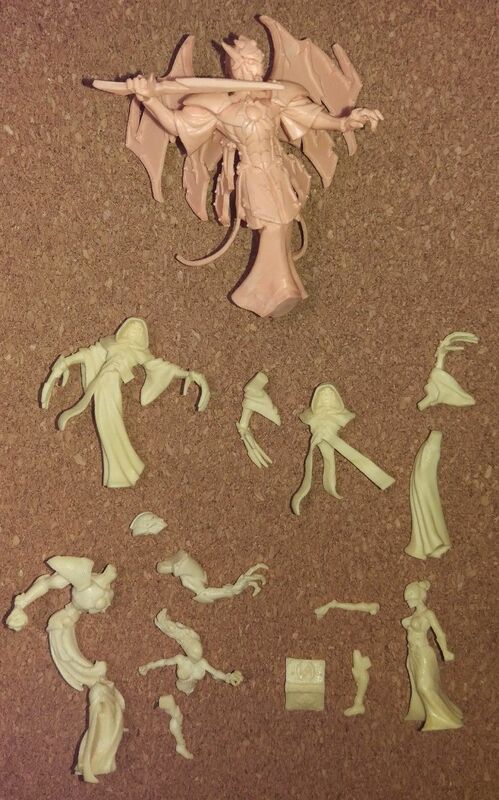 These pieces came from the WizKids sculpting studio for use on the blister card packaging art and for convention display. 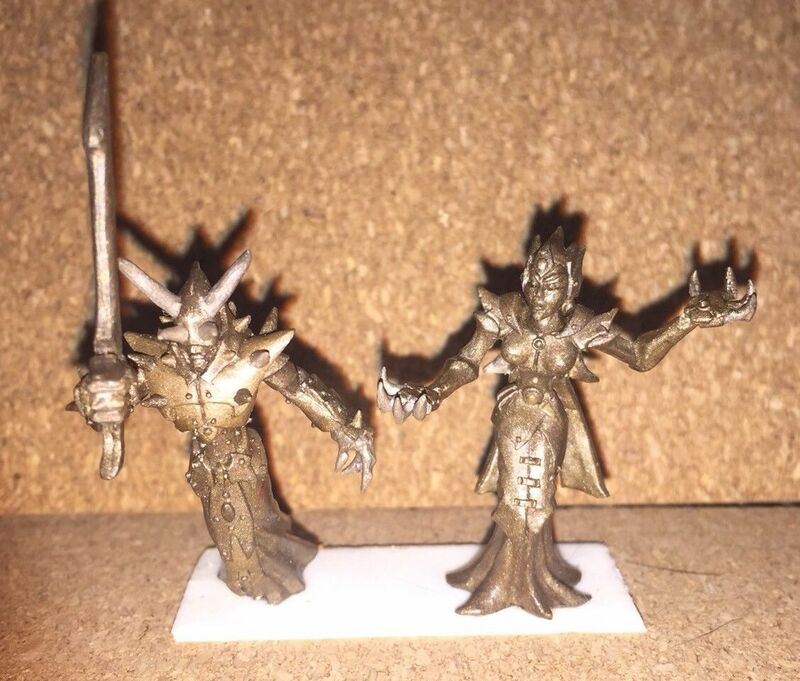 Some models do not have the official Mage Knight “limited edition” bases as they were unavailable at the time of the painting and would have been photoshopped in place for the final art.